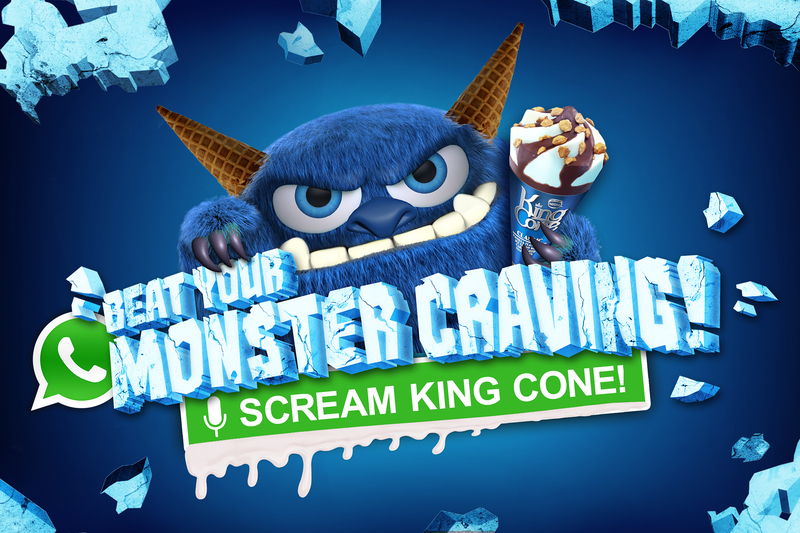 The KING CONE Beat Your #MonsterCraving took over the brand’s social profiles: Facebook, Twitter and Instagram, each driving fans to add him on Whatsapp. 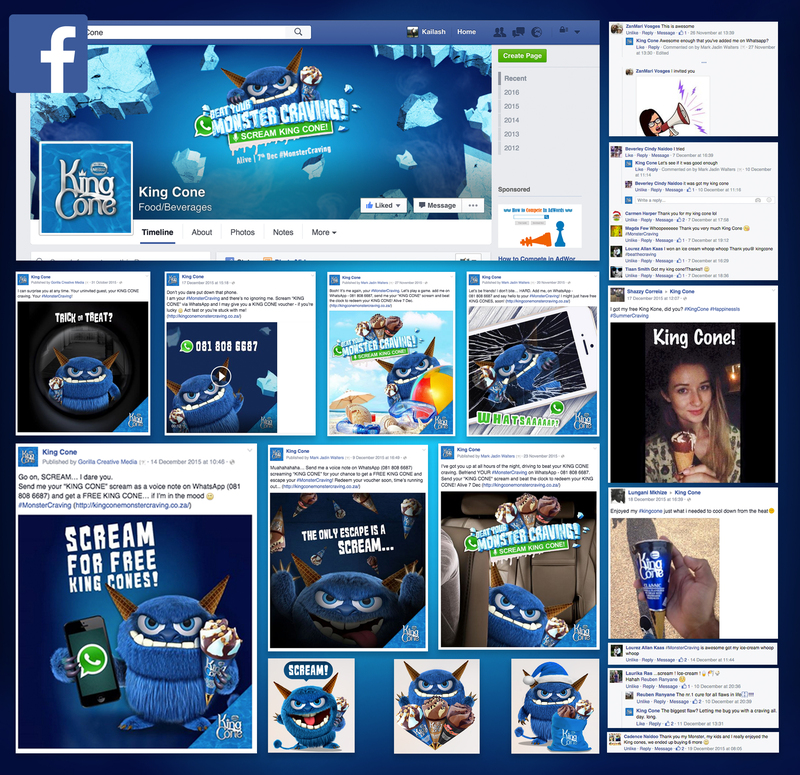 Paid media on Facebook, Twitter and Instagram amplified our Monster’s presence and soon, invites to connect poured in. 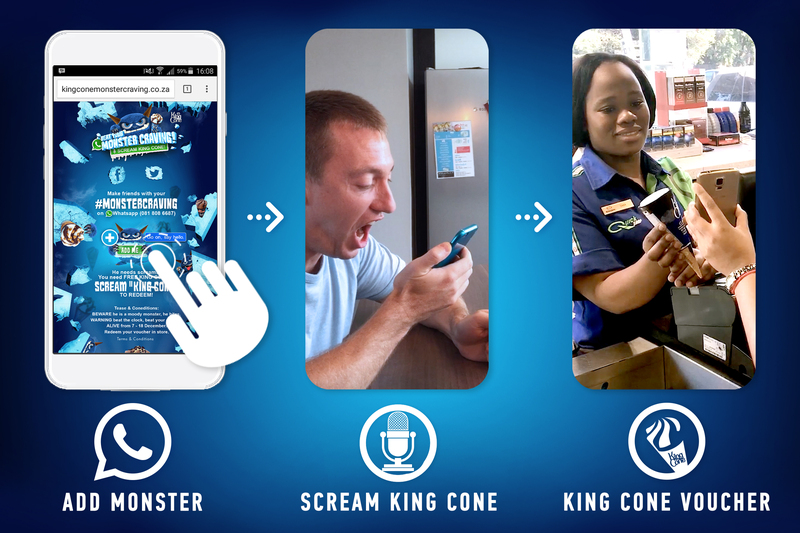 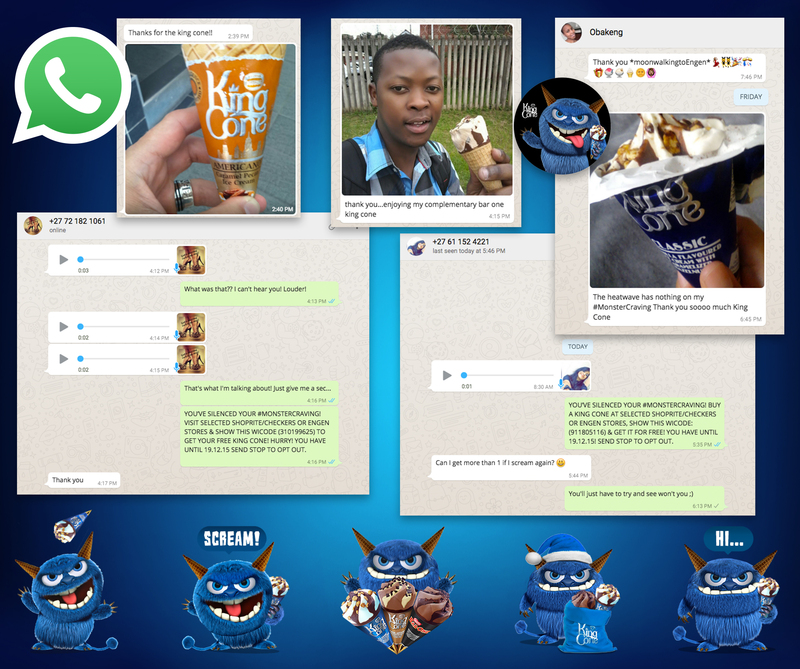 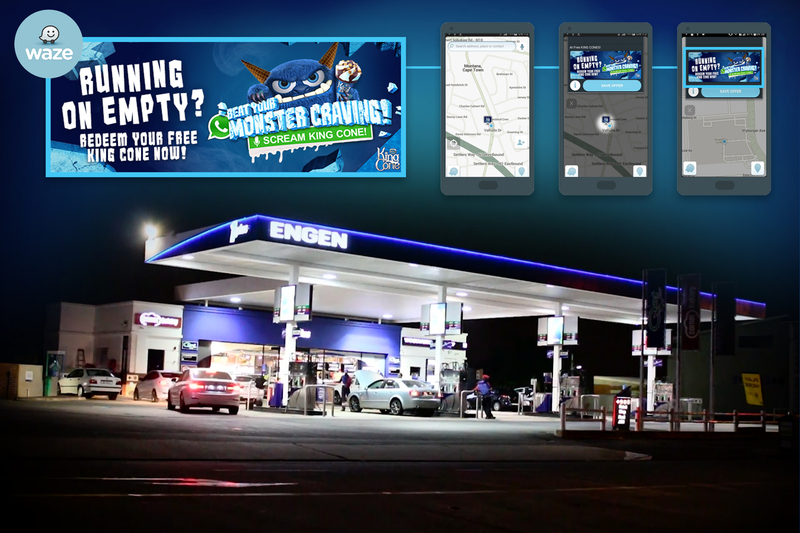 We targeted drivers with proximity banners and used Waze Media to direct them to the nearest Engen garage with an instant Wi-Code voucher to redeem a free KING CONE. 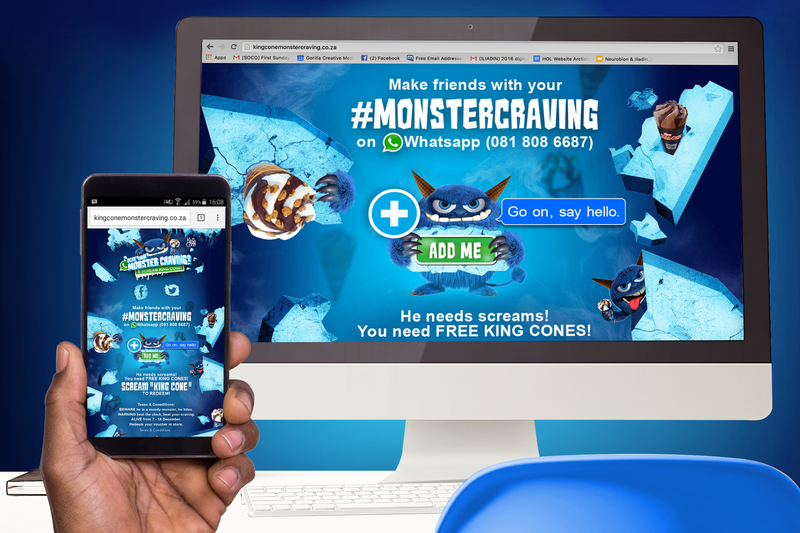 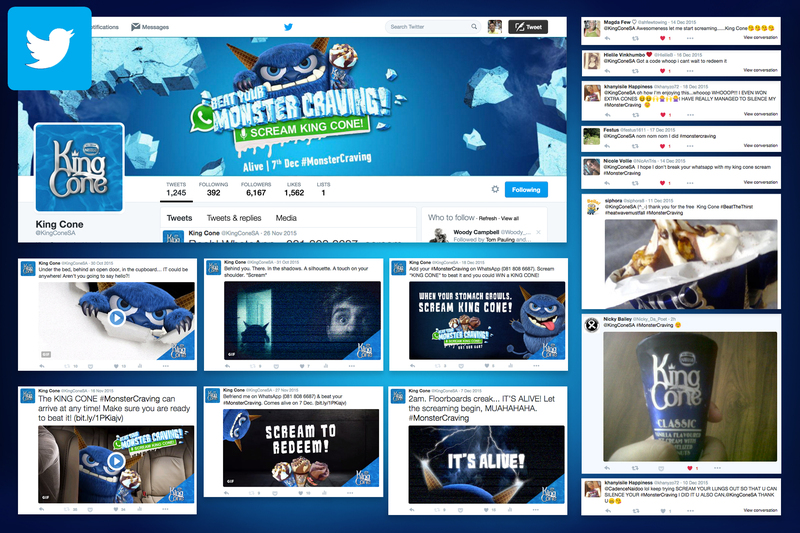 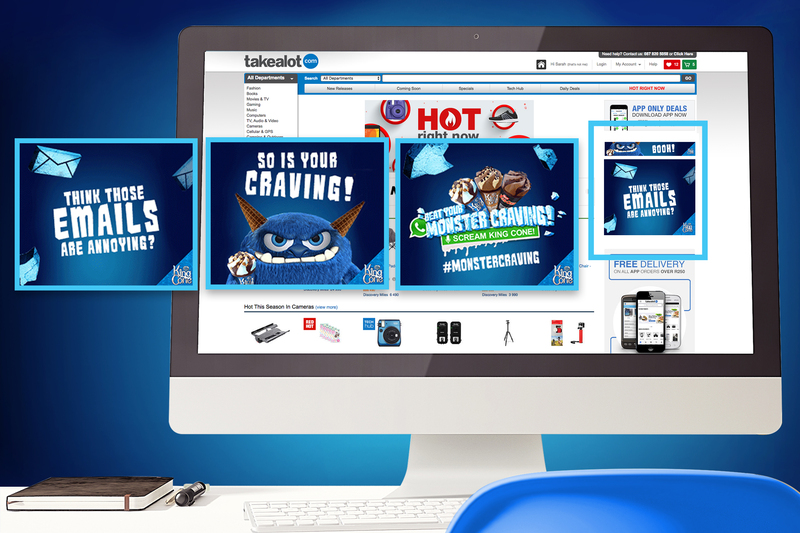 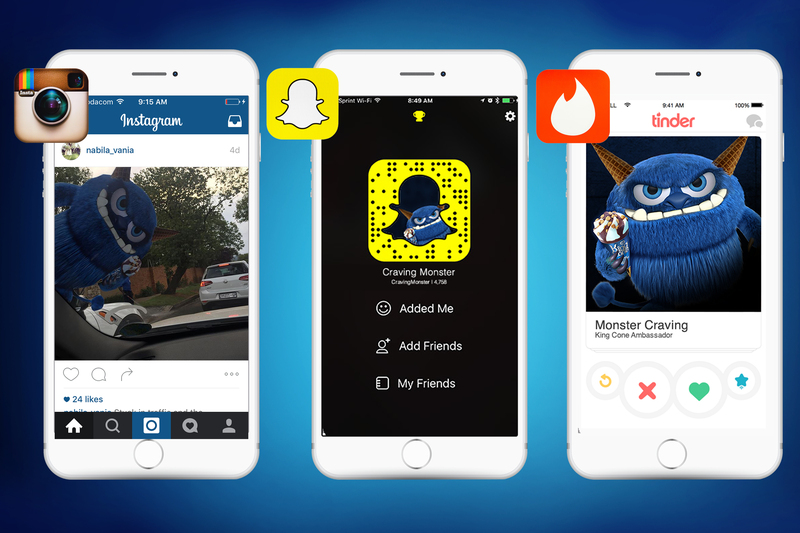 Popping up everywhere, the #MonsterCraving even took to Tinder, SnapChat and GDN banners that followed users from one site to the next so that just like a craving, there was no way to escape him.